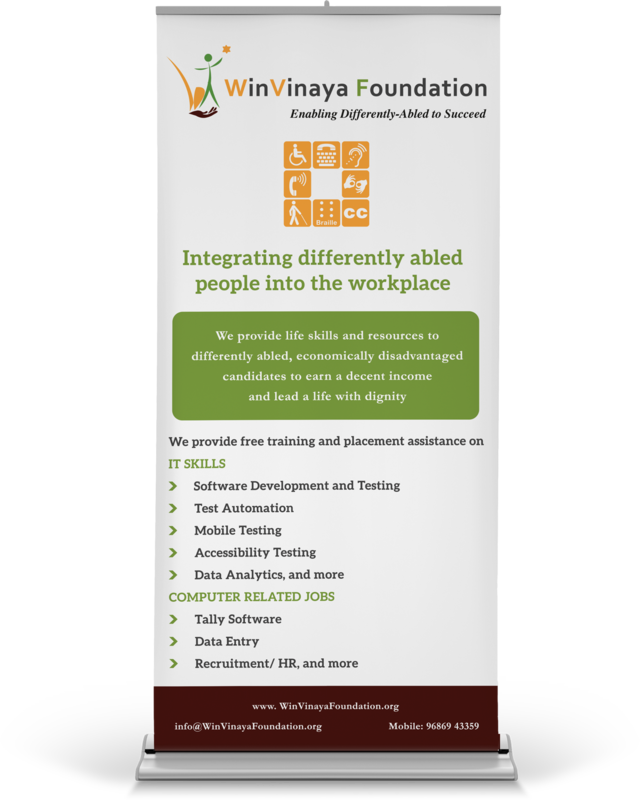 The primary aim of WinVinaya Foundation is to enable differently-abled and economically disadvantaged candidates with life skills and resources so that they can be self-sufficient. The intention is to enable them to hold themselves and contribute to the nation building by becoming taxpayers of the country and being role models. 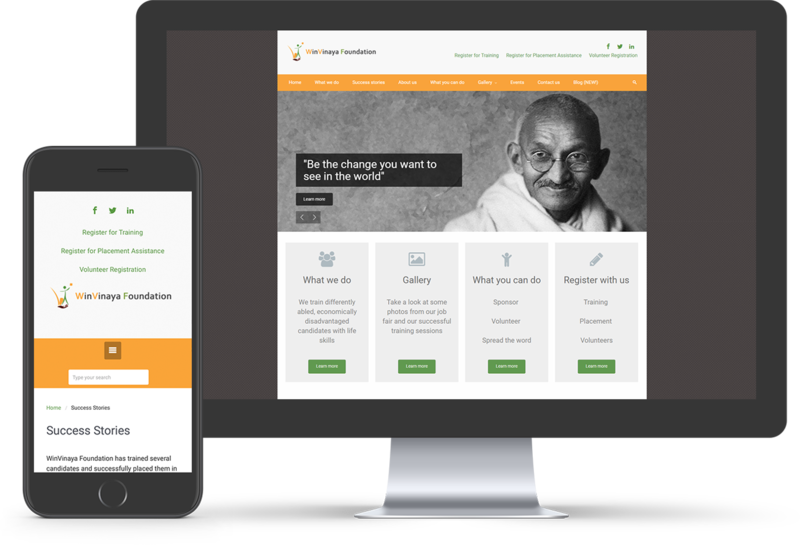 Redesigning the website and highlighting the offerings of the foundation was my mandate. The website needed to have the users register for training and placement assistance in addition to registering as volunteers. 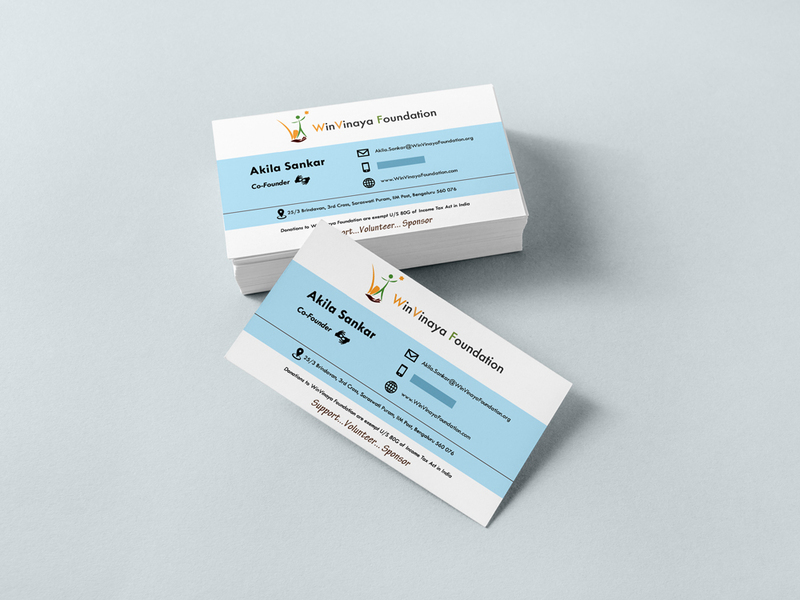 It also was required to have a blog, professional business cards and banners.